Iris Editions Limited, London, 2009. 48 pp., 30 color illustrations, 16¼x20¼". -Each copy signed and numbered by the Artist. -Beautifully embossed clothbound hard cover. 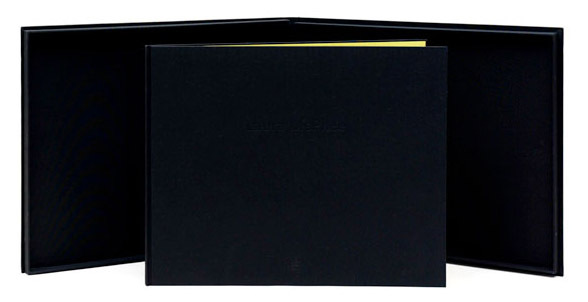 -Presented in an elegantly embossed matching clamshell case. -Every copy is accompanied by two signed and numbered archival original prints. -Every copy is accompanied by a signed and numbered archival original print. Note: Image show as cover illustration is for the limited edition with the clamshell. The hardcover Classic Edition is shown in the center. View Shane Lavalette's review of Guardians of Solitude on photo-eye Magazine. ZD708-LTD Limited Edition is no longer available.